Laser scanners have been used in the surveying industry for many years now. With the advancements in hardware and software, producing 3d surveys has become a quicker and more efficient way of producing high accuracy survey drawings, 3d models and panoramic photos. 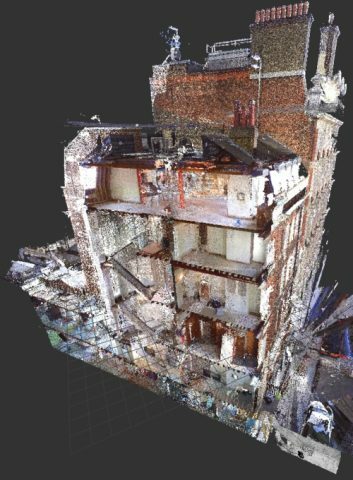 Once captured, the 3d data is registered into one complete 3d point cloud. This can be used to produce various different deliverables in a number of different formats to suit your needs. In many cases no specialist software is required to view this data just an internet browser. The resulting point cloud, once registered, can be downloaded from the internet, or the project can be supplied on a usb. Revit models produced direct from the point cloud provide highly accuracy 3d models, with components with real world attributes. Revit models can be used from anything from designing a small extension, to large scale collaborative projects. 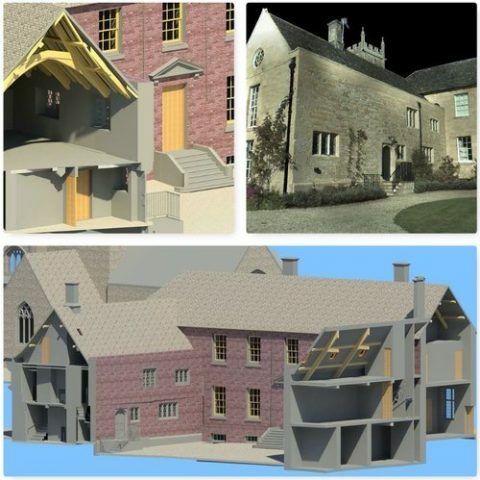 A point cloud allows us to provide photo realistic views of the project from any angle to full BIM models. With up to a million points captured per second, we can efficiently obtain the information required for the building survey and dramatically reduce the amount of time needed on site. We can then use this information to produce accurate floor plans, elevations and sections as well as 3d visualisations. 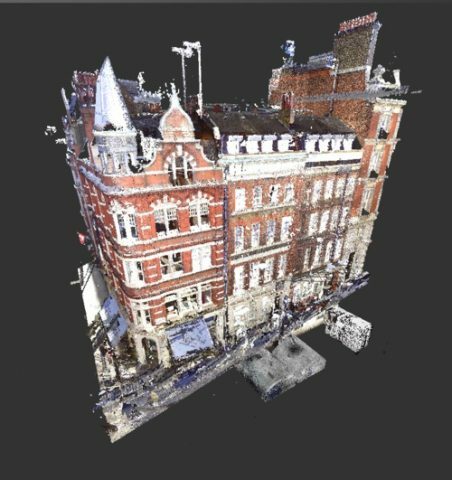 Multiple sections can be produced throughout the building and exact section line positions taken through the complete point cloud. As these sections are produced directly from the 3d model and not from previously produced 2d plans, we could produce and issue accurate sectional drawings before any 2d floor plans or elevations are produced.